Airborne Wind Energy is a radical new concept to produce wind energy with flying Wind Drones® instead of wind turbines. Wind Power increases dramatically with altitude. 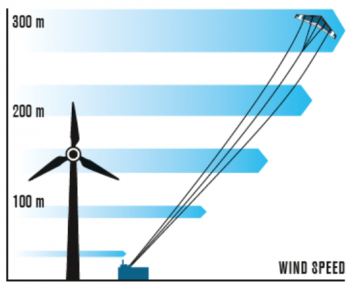 Wind Drones reach the strong high altitude winds that are out of reach for wind turbines. Wind Drones are large, fully autonomous high-tech drones that are attached to a tether and fly in the wind like a kite. We invest in Airborne Wind Energy. Airborne Wind is a potential game changer, with potential to reduce the cost of energy by up to half while at the same time opening up new markets.